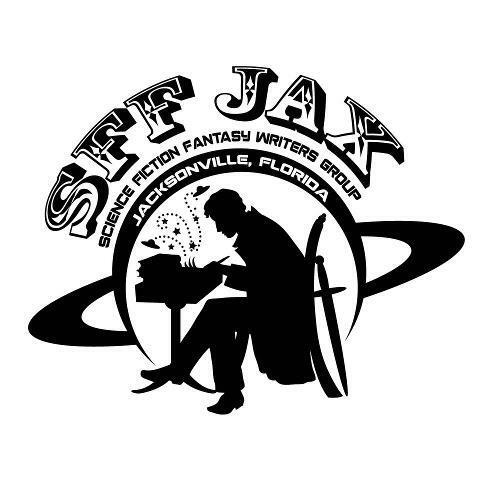 The Sci-Fi & Fantasy Writers of Jacksonville, FL (SFFJAX) is a professional organization for authors of science fiction, fantasy and related genres. We are opening our doors officially in August, 2012, with face-to-face meetings beginning in September, 2012. SFFJAX informs, supports, promotes, educates and helps members grow as writers … sharing the journey we’ve all embarked on, whether a day ago or several decades ago. SFFJAX members look out for each other and provide assistance, mentorship, and cameraderie. Between online FACEBOOK discussion forums, monthly get-togethers, and a host of convention-related activities and schedules, SFFJAX is a source of information, education, support, and fellowship for its local authors. Whether you’re famously published, or just getting off the ground and need a place to share and learn, we can all grow from the experience. We’re here to provide that synergetic forum to bring us all together around our love for the written word.